Moving liquids in a precise and productive way is core to many daily tasks of laboratory professionals in the Life Science industry. Since 1965, INTEGRA Biosciences has been dedicated to the development of laboratory tools which allow the handling and sterilisation of liquids more effectively. 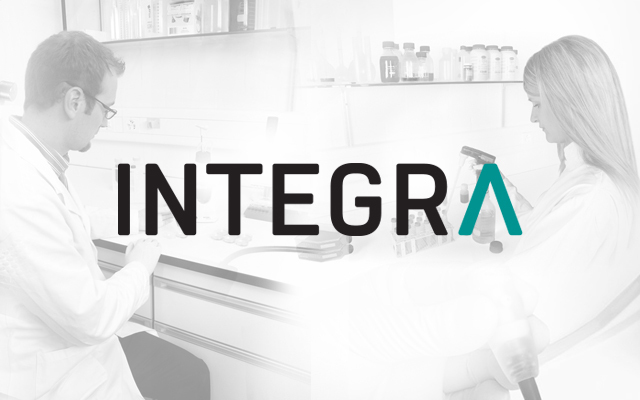 INTEGRA provides innovative solutions for Liquid Handling and Media Preparation applications which serve the needs of customers in research, diagnostics and quality control laboratories. Their instruments and plastic consumables are developed and manufactured in Zizers, Switzerland and Hudson, NH USA. In recent years they have focused on developing a new and technologically advanced range of handheld electronic pipettes which are simple to use and meet the ergonomic needs of our customers. They offer the widest range of electronic pipettes in the market spanning a range from single channel pipettes up to 384 channel bench-top instruments.